Hope your week is going well. I've been keeping busy playing with new stamps and embossing powders! We just created some new powders at Sparkle N Sprinkle and they have a marbled look that I just love....I made a quick video to share how to use them. Here are a few clean and simple cards I made featuring the powders with a batik technique. And the best part is they are on sale this week 30% off....you can check them out here. 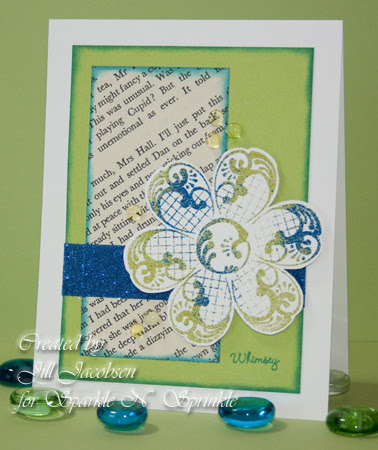 Great projects and love how the new embossing powder looks. Can't wait to try some. These powders look awesome Jill. I especially love the look with the batik technique.